It was founded in 1923 by Gaetano Merola (1881–1953). Gaetano Merola was an Italian conductor, pianist and founder of the San Francisco Opera. The first performance given by San Francisco Opera was La bohème , with Queena Mario and Giovanni Martinelli, on 26 September 1923, in the city's Civic Auditorium and conducted by Merola, whose involvement in opera in the San Francisco Bay Area had been ongoing since his first visit in 1906. The Bill Graham Civic Auditorium is a multi-purpose arena in San Francisco, California, named after promoter Bill Graham. The arena holds 8,500 people. Merola launched the company in 1922, convinced that the city could support a full-time opera organization and not depend upon visiting companies, which had been coming to the San Francisco since Gold Rush days. In fact, Merola's initial visits to the city were as conductor of some of these troupes—the first in 1909 with the International Opera Company of Montreal. Continued visits for the next decade convinced him that a San Francisco company was viable, and in 1921 he returned to live in the city under the patronage of Mrs. Oliver Stine. 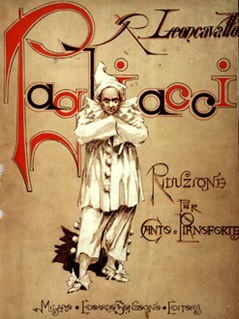 By the fall of 1921 he was planning his first season, which was presented at Stanford University's football stadium on 3 June 1922 with a star-studded group of singers, including Giovanni Martinelli in Pagliacci , followed by Carmen and Faust . While it was a popular and critical triumph, the five-day season was not a financial success. It was clear to Merola that a more solid financial base was needed, so he set about fund raising for a season of opera to be presented at the Civic Auditorium in the fall of 1923. Appealing to more than the city's elite, Merola raised 2441 contributions of $50 each from many "founding members". Carmen is an opera in four acts by French composer Georges Bizet. The libretto was written by Henri Meilhac and Ludovic Halévy, based on a novella of the same title by Prosper Mérimée. The opera was first performed by the Opéra-Comique in Paris on 3 March 1875, where its breaking of conventions shocked and scandalized its first audiences. After the opening of La bohème, the first 1923/24 season included productions of Andrea Chénier (with Benjamino Gigli), Mefistofele (again with Gigli), Tosca (with Giuseppe de Luca and Martinelli, and Verdi's Rigoletto (with Queena Mario, de Luca and Gigli). An international opera season had been launched, and the ones that followed it covered a broad range of mostly Italian operas, many being presented only once or twice in seasons lasting no more than two months, sometimes only the month of September. During the nine years following the opening season, the San Francisco War Memorial Opera House was conceived. The building was designed by Arthur Brown, Jr., the architect who also created San Francisco's Coit Tower and City Hall. The War Memorial Opera House in San Francisco, California, United States of America is located on the western side of Van Ness Avenue across from the westside/rear facade of the San Francisco City Hall. Other characteristics of his tenure were the opportunities given to young American singers in spite of the absence of a formal training program at that time, and also regular tours by the SFO to Los Angeles between 1937 and 1965, which expanded the season into November. However, until well after Merola's death, the main San Francisco season rarely extended beyond late October. He died while conducting an open-air concert at Stern Grove on 30 August 1953. Edwin MacArthur led the San Francisco Opera Orchestra in several 78-rpm recordings for RCA Victor in the late 1930s, including performances by soprano Kirsten Flagstad. Some of these were later reissued by RCA on LP and CD. Short versions of all the works in the season were broadcast on about 30 California, Oregon, Washington, Idaho and British Columbia radio stations, starting about 1941. Kurt Herbert Adler (1905–1988) came to the United States in 1938 after early experience and training in many aspects of music and theatre in Austria, Germany, and Italy. For five years, he worked to build the chorus of the Chicago Opera Company. Merola heard of him and, over the telephone, invited him to San Francisco opera in 1943 as chorus director. Adler was often regarded as a difficult, sometimes tyrannical person to work for. However, as Chatfield-Taylor notes, "singers, conductors, directors, and designers came back season after season. They came back because Adler made the SFO an internationally respected company that ran at a high level of professionalism and offered them interesting things to do in a warm and supportive atmosphere." Among those who were offered new and exciting challenges were Geraint Evans, the Welsh baritone, Leontyne Price, and Luciano Pavarotti. He took on more and more administrative details as Merola's health and energy diminished, but Adler was not the Board's natural choice to replace Merola at the time of his death in 1953. After three months of acting as Artistic Director, and with the assistance of its president, Robert Watt Miller, Adler was confirmed as General Director. Adler's aims in taking over the company were several. One was to expand the season which in Merola's time ran from the Friday after Labor Day until early November (when the Metropolitan Opera's season began) in order to capitalize on the availability of singers by presenting up to fourteen operas with two or three performances each. Eventually, as seen in the 1961 SFO season, eleven operas were given five or six performances each on average while the season ran to late November. Another aim was to present new talent and, for this, he was tireless in seeking out up-and-coming new singers, whether American or European, by attending performances in both major and minor opera houses. He heard Leontyne Price on the radio, and offered her a role in Dialogues of the Carmelites in 1957, thus providing her with her the first performance on a major operatic stage. A short time later in the same season, she was to step into the role of Aida at short notice to replace Antonietta Stella, a role which gave her long-lived international acclaim. Thirdly, a characteristic of the Adler years was his interest in developing stronger connections to opera stage directors in an attempt to strengthen the dramatic and theatrical elements of the works. In this, he was greatly supported by his long relationship with Jean-Pierre Ponnelle, the often-controversial stage director and designer who began his association with SFO in 1957. Several innovations undertaken by Adler included the Merola Opera Program (named after the first general director). It began during the 1954/55 Season and was given its current name in 1957. The program now annually offers approximately 23 gifted singers, four apprentice coaches, and one apprentice stage director the rare opportunity of studying, coaching, and participating in master classes with established professionals for eleven weeks during the summer. Many went on to international careers, among them Carol Vaness and Thomas Hampson. Another innovation was "Opera in the Park" which, since 1971, has been an annual free concert in Golden Gate Park on the Sunday following opening night of the Fall Season. It traditionally features artists from the opening weekend in full concert with the San Francisco Opera Orchestra. The event is open to the public and draws some 30,000 listeners. The concert is presented in conjunction with the non-profit San Francisco Parks Trust and the San Francisco Chronicle Charities. By the 1970s, the Company was highly successful and offered audiences the "cream of the crop" of internationally-known singers, but, with Adler often bringing in unknowns to make their American debuts or the surprise of well-known singers replacing ailing ones, there were some exciting nights at the opera. These included Plácido Domingo flying with no notice from New York City to San Francisco — albeit three hours after curtain time — to replace the ailing Carlo Cossutta on the opening night of Otello and the last-minute substitution by Leontyne Price for Margaret Price in the role of Aida. From 1971 to 1979, San Francisco station KKHI broadcast the regular Friday night performances of the opera on AM and FM (in multiplex stereo with quadraphonic encoding). The broadcasts were hosted by several well-known announcers, including Scott Beach and Fred Cherry. In the summer of 1972, the San Francisco Opera began its 50th anniversary celebrations with a special free concert in Sigmund Stern Grove. Adler conducted most of the program, which featured performances by many of the surviving singers who had appeared with the company during its history. The legendary tenor Lauritz Melchior conducted the orchestra, rather than sing, in a performance of the famous Radetsky March by Johann Strauss I; it was possibly his last public appearance. One of the highlights of the afternoon program was a moving performance of the love duet from Madama Butterfly with soprano Licia Albanese and tenor Frederick Jaegel. Adler retired on 15 December 1981. Following Adler's retirement announcement in June 1979, Terence A. McEwen (1929 Thunder Bay, Ontario – 14 September 1998, Honolulu) was Adler's hand-picked successor. Growing up in the Montreal area of Canada, McEwen learned to love opera at an early age, listened to the Met broadcasts, and at age 14, made a trip to New York one winter break to hear several of his favorite operas, which included Bidu Sayão and Jussi Björling in Rigoletto . As a singer, Sayão was forever to remain his passion, one which was accentuated by seeing her in Manon performances in Montreal. His passion for opera in general led him to visit the Royal Opera House in London and a lowly paid job with Decca Records in that city. Moving up the ranks in the 1950s, he landed in New York in 1959 and for the next 20 years made London Records, Decca's classical arm, the most significant classical label in the United States. After being approached by Adler regarding the San Francisco opera job, he moved to the city in 1980 and involved himself totally in learning the running of an opera company. In January 1982 McEwen was running the SFO. Given his expertise and background in understanding opera and the wonders of the human voice, it is not surprising that his approach in his early years was away from the theatrical side and more focused on singers. With his Ring Cycle which began in the Summer 1983 and Fall 1984 seasons — and which was presented in its entirety in June 1985 – McEwen demonstrated where his priorities lay: they were focused on hiring the best singers in the world. As a reaction to the economic climate of the times, in 1982 McEwen, created the "San Francisco Opera Center" to oversee and combine the operation and administration of the numerous affiliate educational and training programs. 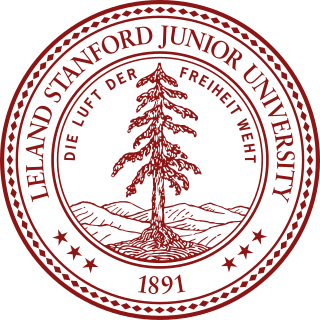 Providing a coordinated sequence of performance and study opportunities for young artists, the San Francisco Opera Center included the "Merola Opera Program", "Adler Fellowship Program", "Showcase Series", "Brown Bag Opera", "Opera Center Singers", "Schwabacher Recitals", and various Education Programs. By introducing his young singers to the great voices of the past, inviting them to rehearsals, and giving tickets to current productions McEwen hoped to create rounded performers who could appear in the regular Fall season. Among his successes in this regard was the mezzo-soprano Dolora Zajick from Nevada. By "hand holding"" her through the various stages of training, he prepared her for the role of Azucena in Il Trovatore for the summer 1986 season to great acclaim. During the 1983 Fall Season, the student/family matinee performances of La traviata were presented with supertitles. These are English translations of the libretto projected over the proscenium simultaneously with the action on stage. The overwhelmingly favorable response prompted the company to introduce the practice in increasing numbers of performances in subsequent seasons. Supertitles are now used for all San Francisco Opera productions and SFO also rents its supertitles internationally to other opera companies. In 1986, Sir John Pritchard was appointed Music Director, and served until 1989. On 8 February 1988, McEwen announced his resignation. The following day his mentor, Kurt Herbert Adler, died. Lotfi Mansouri (b. 1929) was already a known quantity when Terry McEwen announced his retirement. Then head of the Canadian Opera Company in Toronto, Mansouri had received an education in medicine in Los Angeles, but gave it all up upon becoming fixated on opera, first as a young tenor with UCLA's Opera Workshop, and then with opera in general. As early as 1962, with Mansouri having found work as director in Los Angeles followed by his becoming resident stage director at the Zurich Opera, Adler came to see him at work and he was offered six operas to direct in the 1963 season. By the time he became General Director, he had directed 60 operas for SFO and many others elsewhere. Donald Runnicles was named Music Director and Principal Conductor of SFO in 1990, and assumed the posts in 1992. The Dangerous Liaisons , composed by Conrad Susa to a libretto by Philip Littell, had its world premiere during the 1994 fall season and was the subject of a nationwide TV broadcast. The cast featured Renée Fleming, Frederica von Stade, and Thomas Hampson. Harvey Milk , composer Stewart Wallace to a libretto by Michael Korie. It was performed in 1996 as a joint commission and co-production of the SFO, Houston Grand Opera, and New York City Opera. The cast featured Raymond Very as Dan White, Robert Orth as Harvey Milk and Gidon Sachs as Mayor Moscone. A Streetcar Named Desire , composed by André Previn to a libretto by Philip Littell, after the play by Tennessee Williams. The work had its premiere during the 1998–99 fall season. The cast included Renée Fleming as Blanche DuBois and Elizabeth Futral as Stella, baritone Rod Gilfry as Stanley Kowalski and tenor Anthony Dean Griffey as Mitch. Dead Man Walking , composed by Jake Heggie from a libretto by Terrence McNally after the book by Sister Helen Prejean, received its premiere in October 2000. The cast included Susan Graham as Sister Helen Prejean, John Packard as Joe; and Frederica von Stade as Mrs. Patrick de Rocher. The Death of Klinghoffer (a co-commission between San Francisco Opera, Brussels' La Monnaie, the Opera de Lyon, the Los Angeles Festival, the Glyndebourne Festival and the Booklyn Academy of Music), composed by John Adams in 1992. The cast included Janice Felty in 3 roles, James Maddalena as The Captain, and Thomas Hammons as the First Officer. Towards the end of the 2001 season, Mansouri announced his retirement after fourteen seasons with SFO and 50 years in the world of opera. In January 2001, Rosenberg announced her first artistic initiative for San Francisco Opera, "Animating Opera", a multi-year plan of interwoven themes and series. These included "Seminal Works of Modern Times", "The Faust Project", "Composer Portrait: Janáček/Berlioz", "Women Outside of Society: Laws Unto Themselves", "Metamorphosis: From Fairy Tales to Nightmares", and "Outsiders or Pioneers? : The Nature of the Human Condition". Incorporated within the production programming of "Animating Opera" was the America staged premiere of Messiaen's Saint-François d'Assise , Virgil Thomson's The Mother of Us All , as well as a commission for a new work by John Adams and Peter Sellars entitled Doctor Atomic , which premiered on 1 October 2005. Other operas new to the SFO's repertoire during her directorship include Busoni's Doktor Faust, Ligeti's Le Grand Macabre and Janáček's The Cunning Little Vixen. After much controversy surrounding her management of the SFO, which included deficits created after the "dot-com" collapse in 2000 and the effects of September 11 on arts attendance, she announced in 2004 that she would not renew her contract with the Company when it ended in late 2005. As noted by Steven Winn in the San Francisco Chronicle in December 2005, "Productions were scuttled or postponed in the face of a US$7.7 million deficit. Ambitious programming initiatives and plans for a second, smaller performance venue went by the wayside. Company-wide cuts pared 14 percent from the company's US$67 million budget in 2003." Rosenberg has returned to Germany to work with Sir Simon Rattle and the Berlin Philharmonic as its Intendantin. From 2004-2007 Keith Cerny served as the Chief Financial Officer of the San Francisco Opera. After 33 years of directing the Houston Grand Opera, David Gockley became the SFO's General Director on 1 January 2006. As part of an announcement of the 2006/2007 season and the future of the company on 11 January, Gockley noted that "this season we debut a new visual identity and logo in keeping with a new artistic philosophy. I believe that it speaks of glamour, sophistication, tradition and innovation all things that infuse our plans for the future of San Francisco Opera." As part of his future plans, Gockley stated "I want nothing less than to have the greatest stars of the opera world perform here regularly. You can expect in coming seasons to hear Renée Fleming, Anna Netrebko, Thomas Hampson, Dmitri Hvorostovsky, Marcello Giordani, Ramón Vargas, Marcelo Alvarez, Juan Diego Flórez, Ben Heppner, Natalie Dessay, and Angela Gheorghiu –among many others. We will have a world premiere for you in 2007, and the Wagner lovers among you will be happy to hear that we expect to commence a Ring Cycle in 2008". San Francisco Opera and Washington National Opera began a co-production of a new Ring cycle in 2006 directed by Francesca Zambello. The production used imagery from various eras of American history and had a feminist and environmentalist viewpoint. SFO presented Das Rheingold in June 2008, Die Walküre in June 2010, and three complete Ring cycles in June 2011. The complete cycles in June 2011 were conducted by Donald Runnicles and featured cycle role debuts of Mark Delavan (Wotan) and Nina Stemme (Brünnhilde) as well as Jay Hunter Morris (making his role debut in the title role of Siegfried ) and Ian Storey (making his role debut as Siegfried in Götterdämmerung . In 2007, San Francisco Opera returned to regular broadcasts of its productions on national and international radio.,  and in December the Opera announced the presentation of four operas in movie theaters across the United States. Following the initial presentation of the four operas in movie theaters in 2008, San Francisco Opera used these four titles to create its Grand Opera Cinema Series, making these titles available to be presented by performing arts centers, theaters, and universities. Since 2008 the company has added eight additional operas to the Grand Opera Cinema Series,  and they have been presented by KQED-TV with hosts Rita Moreno  and Joan Chen. On 9 January 2007, SFO announced its third music director would be the Italian conductor Nicola Luisotti, beginning with the 2009/10 season, for an initial contract of 5 years. Luisotti made his SFO debut in 2005 with La forza del destino , and returned in 2008 to conduct La bohème prior to assuming the role of music director. In SFO's September 2009 program magazine, David Gockley announced that bringing on Luisotti as the company's music director was a large part of his goal to "reinvigorate the core Italian repertory that is San Francisco Opera's birthright." Gockley also stated that Luisotti would conduct three to four productions each season, including one non-Italian opera; since 2009 these non-Italian operas have included Salome , Lohengrin , and Carmen . San Francisco Opera has presented several world premieres under David Gockley's tenure. So far these include Philip Glass and Christopher Hampton's Appomattox in 2007;  Stewart Wallace and Amy Tan's The Bonesetter's Daughter in 2008;  and Christopher Theofanidis and Donna Di Novelli's Heart of a Soldier in 2011. In 2013, the company presented three world premieres: Nolan Gasser and Carey Harrison's The Secret Garden , based on the children's book by Frances Hodgson Burnett (and staged in conjunction with UC Berkeley's Cal Performances);  Mark Adamo's The Gospel of Mary Magdalene;  and Tobias Picker and J.D. McClatchy's Dolores Claiborne ,  based on the novel by Stephen King. In the summer of 2015 the world premiere of La Ciociara  by Marco Tutino and Luca Rossi , based on novel of the same name by Alberto Moravia,took place. Kurt Herbert Adler was an Austrian-born American conductor and opera house director. San Francisco Ballet is a ballet company, founded in 1933 as the San Francisco Opera Ballet under the leadership of ballet master Adolph Bolm. The company is currently based in the War Memorial Opera House, San Francisco, under the direction of Helgi Tomasson. San Francisco Ballet was the first professional ballet company in the United States. It is among the world's leading dance companies, presenting more than 100 performances annually, with a repertoire that spans both classical and contemporary ballet. Along with American Ballet Theatre and the New York City Ballet, San Francisco Ballet has been described as part of the "triumvirate of great classical companies defining the American style on the world stage today". Lotfollah "Lotfi" Mansouri was an Iranian-born opera director and manager. He was an opera director from about 1960 onwards, and is best known for being the General Director of the Canadian Opera Company and of the San Francisco Opera from 1988 through 2001. In 1992 he became a Chevalier of France's Ordre des Arts et des Lettres, and the subject of a 1998 biography. Donato Cabrera is an American conductor with an active international career. He is the Music Director of the California Symphony and the Las Vegas Philharmonic, and was the Resident Conductor of the San Francisco Symphony and Wattis Foundation Music Director of the San Francisco Symphony Youth Orchestra from 2009-2016. James Marvel is a stage director known for traditional and avant-garde stagings of operatic productions. Marvel was born and raised in New Orleans and received a B.A. in World Literature from Sarah Lawrence College and Oxford University, and an M.F.A. in Theatre Arts from the International Actor Training Academy. He also studied at Charles University in Prague, Czech Republic. Nicola Luisotti is an Italian conductor. He is currently music director of San Francisco Opera. Donald Cameron Runnicles, OBE is a Scottish conductor. Terence A. McEwen was a Canadian opera manager. Merola Opera Program is a San Francisco based training program for opera singers, coaches, and stage directors. Ao Li is a Chinese operatic bass-baritone and voice teacher who is particularly known for his performances at the San Francisco Opera. In 2013 he won first prize in the Operalia, The World Opera Competition and in 2014 he won the Metropolitan Opera National Council Auditions. Elizabeth Caballero is a Cuban-American lyric soprano. David Gockley is an American opera company administrator. He served as general director of Houston Grand Opera from 1972 to 2005 and San Francisco Opera from 2006 to 2016. Philip Skinner is an American bass-baritone who has sung leading roles in both North American and European opera houses. A veteran performer at San Francisco Opera, he made his debut there in 1985 and has gone on to sing over 35 roles with the company. In 2007, Skinner created the role of Edgar Ray Killen when San Francisco Opera staged the world premiere of the Philip Glass opera, Appomattox, and in 2015 he created the role of Casaubon in Allen Shearer's Middlemarch in Spring. He is a graduate of Northwestern University and received his master's degree from Indiana University, where he sang in the American premiere of Janáček's The Excursions of Mr. Brouček to the Moon. Patrick Summers is an American conductor best known for his work with Houston Grand Opera (HGO), where he has been the artistic and music director since 2011, and with San Francisco Opera, where he served as principal guest conductor, 1999–2016. Zheng Cao was a Chinese-born, American operatic mezzo-soprano known for her signature role of Suzuki in Madama Butterfly. She performed this role with opera companies such as San Francisco Opera, Grand Théâtre de Genève, Pittsburgh Opera, Vancouver Opera, Washington National Opera, San Diego Opera, and under the baton of Seiji Ozawa with the Boston Symphony Orchestra. Her portrayal of the role of Cherubino in The Marriage of Figaro also earned her recognition at several American opera companies, including San Francisco Opera, Pittsburgh Opera, and Houston Grand Opera. She died from lung cancer in San Francisco, California in 2013. Harvey Milk is an opera in three acts composed by Stewart Wallace to a libretto by Michael Korie. A joint commission by Houston Grand Opera, New York City Opera, and San Francisco Opera, it was premiered on January 21, 1995 by Houston Grand Opera. The opera is based on the life and death of the gay activist and politician Harvey Milk who was assassinated along with San Francisco's mayor George Moscone on November 27, 1978. Kevin Paul Anderson is an American operatic tenor. He has had a national and international singing career since the late 1980s, and in 1988 appeared as Don Alvar alongside Placido Domingo and Shirley Verrett in the San Francisco Opera's televised production of L'Africaine. John Del Carlo was an American bass-baritone who had an active international opera and concert career from the 1973-2016. Music critic F. Paul Driscoll, wrote that "Del Carlo had the distinction of being not only one of the busiest artists in opera but one of the best liked, beloved throughout the U.S. by audiences and by his colleagues for decades." He was particularly active with the San Francisco Opera where he performed regularly from 1973-2015, and with the Metropolitan Opera where he appeared in more than 300 performances in 21 seasons from 1993-2016. He also frequently appeared at the San Diego Opera and the Seattle Opera, and gave performances at important opera houses internationally, including the Lyric Opera of Chicago, the Paris Opera, the Royal Opera House in London, and the Zurich Opera among many others. A skilled actor, Opera News stated that "Del Carlo made a career specialty of bringing authentic character to roles that are often dismissed as comprimario parts; in Del Carlo’s shrewdly judged performances, [these parts] became authentic star turns." 1 2 Chatfield-Taylor, p. ?? ↑ Joshua Kosman (5 August 2001). "Two views of Mansouri's S.F. era: Opera director was gambling man". San Francisco Chronicle. Retrieved 10 August 2007. ↑ Judy Richter (September 1997). "San Francisco Opera's 75th Anniversary Gala". Opera Glass. Retrieved 10 August 2007. 1 2 Joshua Kosman (16 September 2006). "Runnicles Won't Renew Contract with S.F. Opera". San Francisco Chronicle. Retrieved 10 September 2007. ↑ Steven Winn (7 December 2005). "Pamela Rosenberg's time at the Opera was as full of drama as any production". San Francisco Chronicle. Retrieved 10 August 2007. ↑ Cooper, Michael. "San Francisco Opera Picks Matthew Shilvock, an Insider, to be its Leader". The New York Times. Retrieved 5 February 2016. ↑ Joshua Kosman (29 May 2006). "Gockley era starts off strong with soprano Patricia Racette flexing vocal, dramatic muscle". San Francisco Chronicle. Retrieved 23 February 2012. ↑ "San Francisco Opera appoints Nicola Luisotti as Music Director beginning in 2009–10 season" (PDF) (Press release). San Francisco Opera. 9 January 2007. Archived from the original (PDF) on 14 January 2010. Retrieved 8 August 2007. ↑ Joshua Kosman (10 January 2007). "Nicola Luisotti named Opera's music director, starting in 2009". San Francisco Chronicle. Retrieved 10 August 2007. ↑ Sue Gilmore (18 January 2011). "S.F. Opera finally snags John Adams' Nixon in China for its 89th season". Contra Costa Times. Retrieved 18 January 2011. ↑ San Francisco Opera press release announcing 2014/15 season https://www.youtube.com/watch?v=_Vt9V1uo0c4 Interview with Bright Sheng and David Henry Hwang about Opera.